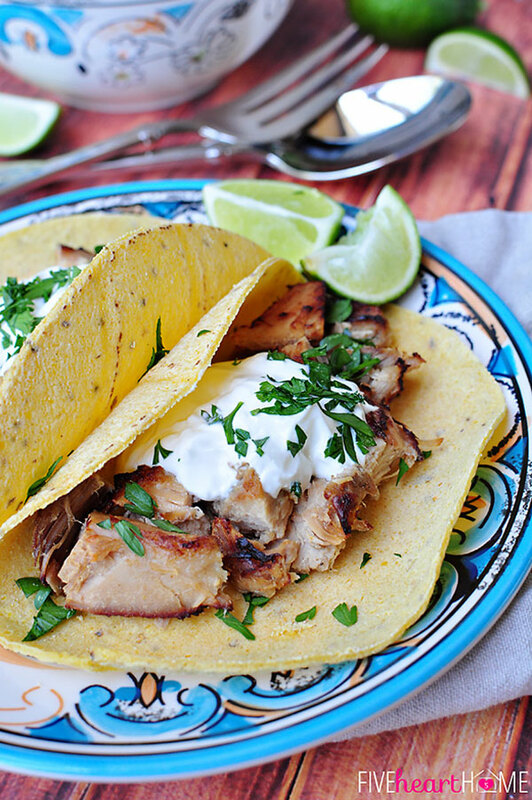 Skip the takeout and add these easy Mexican dinner ideas to your meal plan. They’re kid friendly and taste great! 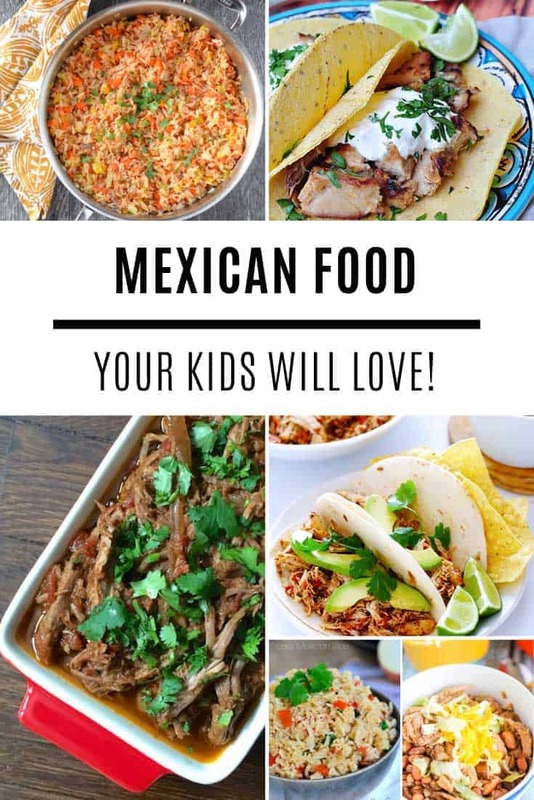 Mexican food is perfect for kid friendly family meals because everyone can get stuck in and enjoy the food together. Today we’ve pulled together 15 easy Mexican dinner ideas that you can make at home. We’ll start with Mexican rice recipes, then move on to recipes that are perfect for the crock pot, and then we’ll introduce you to some wonderful Mexican vegetarian recipes too. Don’t forget to download your free meal planning printable so you can schedule in a homemade Mexican feast night in your dinner plans! 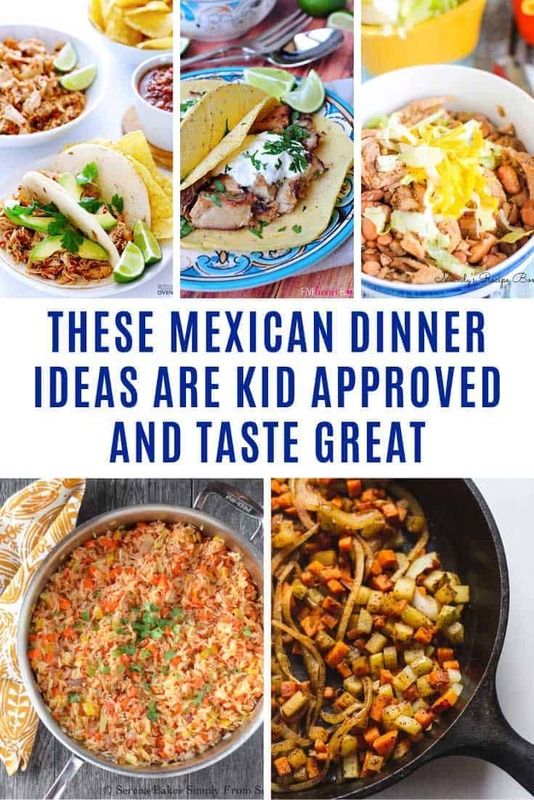 If you’re searching for the best Mexican rice recipe search no more because I’ve found not just one, but five awesome recipes that you will love, and they’re kid friendly too! 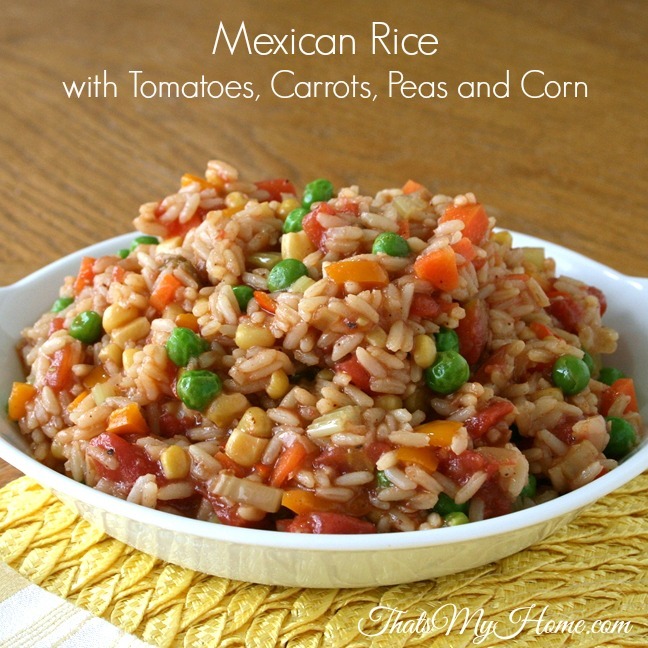 Let’s start with Trish who claims that no Mexican meal is complete without her Easy Mexican Rice Recipe. Her kids love it, her hubby loves it, and even Trish who doesn’t really like rice can eat it straight from the cooking pot – can’t get a better endorsement than that I say! Next up Mary Ellen is looking to take the title by actually calling her dish the Best Mexican Rice recipe! 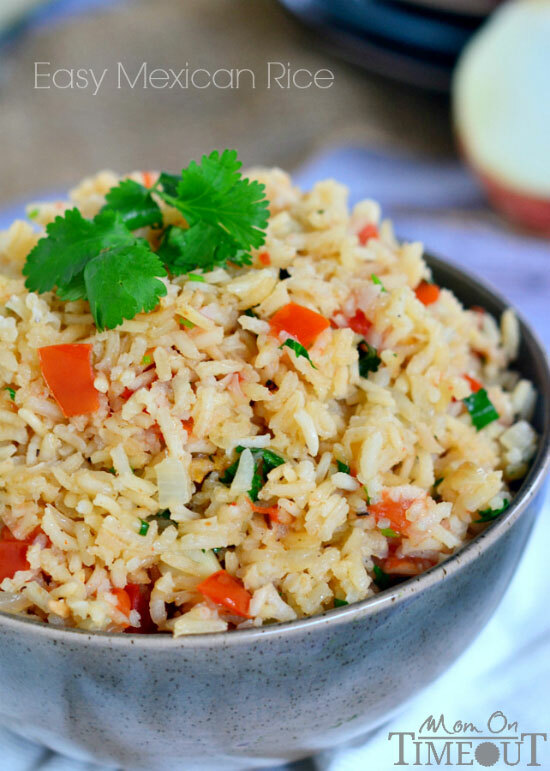 Her dish is filled with vegetables and a hint of cumin, chilli powder and garlic; she claims once you’ve eaten this you won’t want to eat rice in a Mexican restaurant ever again! 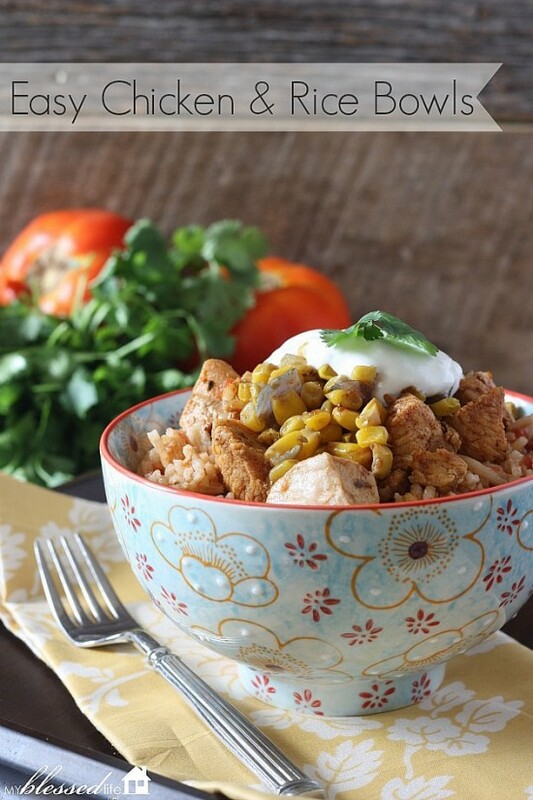 Myra has shared her recipe for Easy Mexican Chicken and Rice Bowls which uses whatever rice you have to hand and chicken breasts to make an easy meal that the whole family will enjoy. 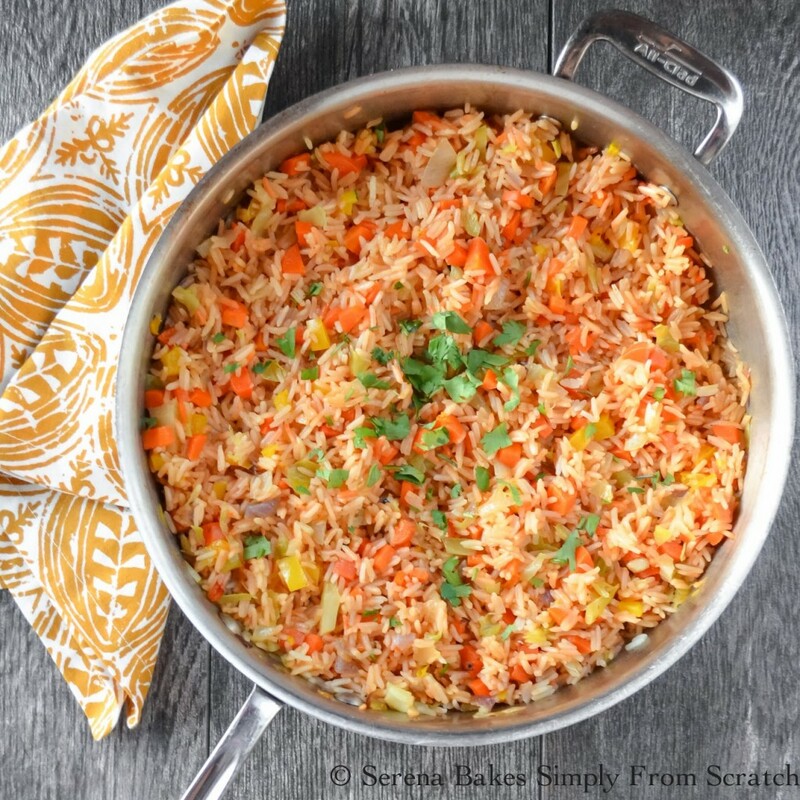 Serena’s Restaurant Style Mexican Rice is also packed full of veggies. 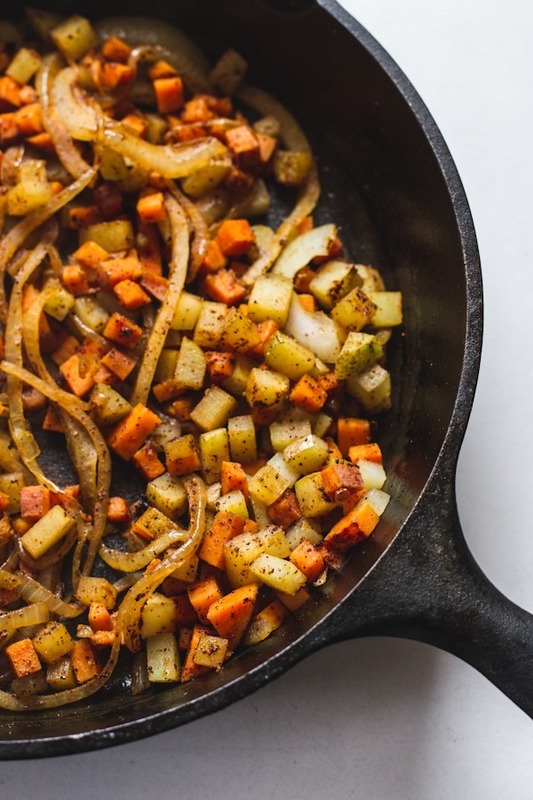 I chose this recipe for you because if you don’t have the veggies on hand that Serena suggests you can switch them for something else (I know that because she did it herself!) and also, it’s a kid friendly recipe, easy enough for them to help you cook it and then enjoy eating it with you. 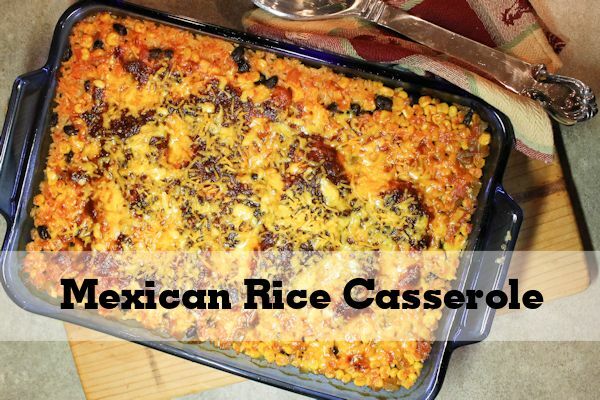 Finally in the search for the Best Mexican Rice I thought I’d mix things up a little bit and share Tammy’s Mexican Rice Casserole with you. This is great for meal planning because you can cook up a large batch and then either have some another day for leftovers, or freeze some for later in the month. That is of course if there are any leftovers! If your crock pot is the go to piece of equipment in your house you are going to love these Mexican recipes. 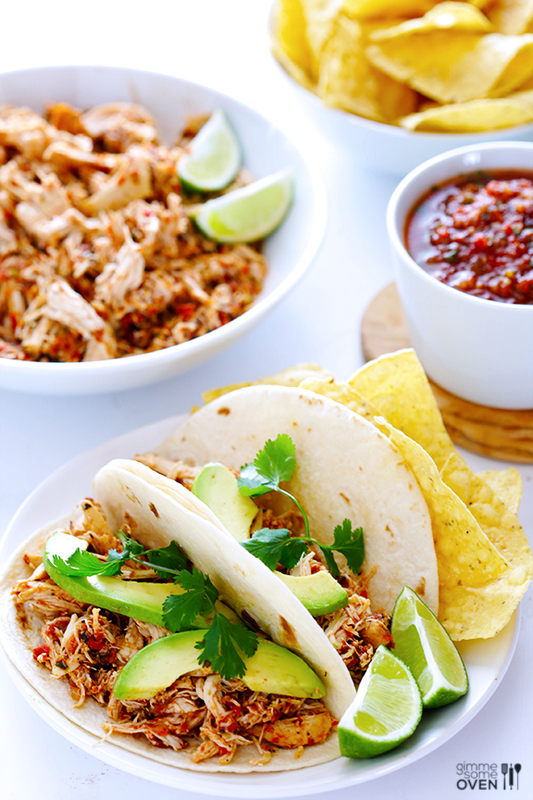 Let’s start with these delicious Slow Cooker Carnitas Tacos – Mexican Pulled Pork shared by Samantha. You slow cook the pork then braise it in an aromatic broth and finish it off under the broiler. The tender meat is perfect for stuffing tacos, enchiladas or quesadilas so it’s a great kid friendly recipe that the whole family can enjoy together. If you’re looking for a Mexican Beef recipe rather than pork you should try Liz’s Slow Cooker Shredded Beef recipe. It’s flavourful and easy to make, and it’s a great recipe for meal planning because you can use that beef all week to create Mexican soups, salads, tacos and chills for the whole family to enjoy. 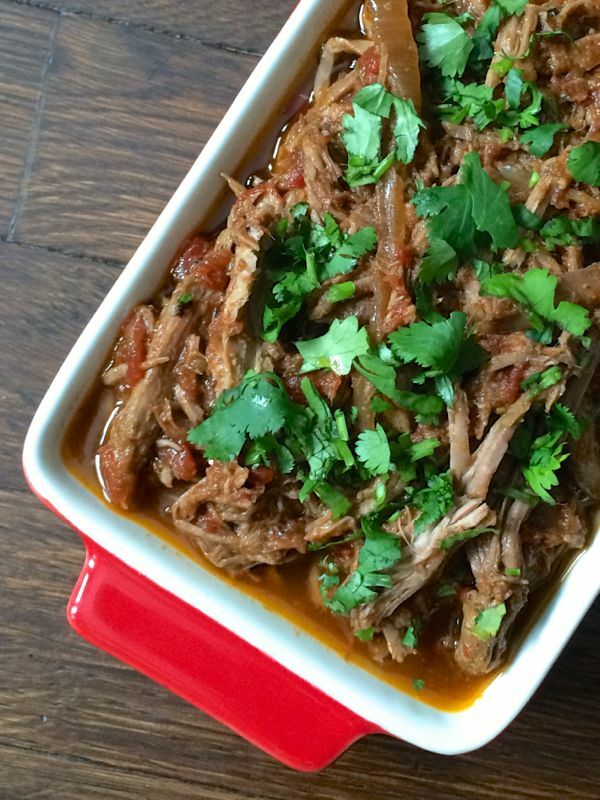 If you want Mexican comfort food then you cannot go wrong with Mandy’s Mexican Slow Cooker Pork and Pinto Stew. You can top it with lettuce, tomatoes and cheese and eat it as a stew, or use it as a delicious filling for tortillas. 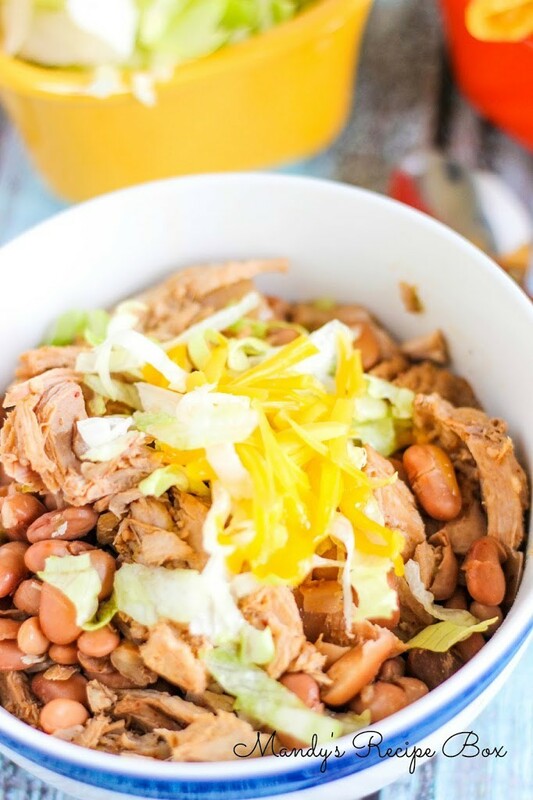 I don’t know about you but my favourite kids of recipes are those with minimal ingredients, which is why Ali’s Slow Cooker Salsa Chicken caught my eye. Not only does it have just two ingredients (yep you read that right!) but it only takes two minutes to prep and then two minutes to shred once your crockpot has done the hard work. 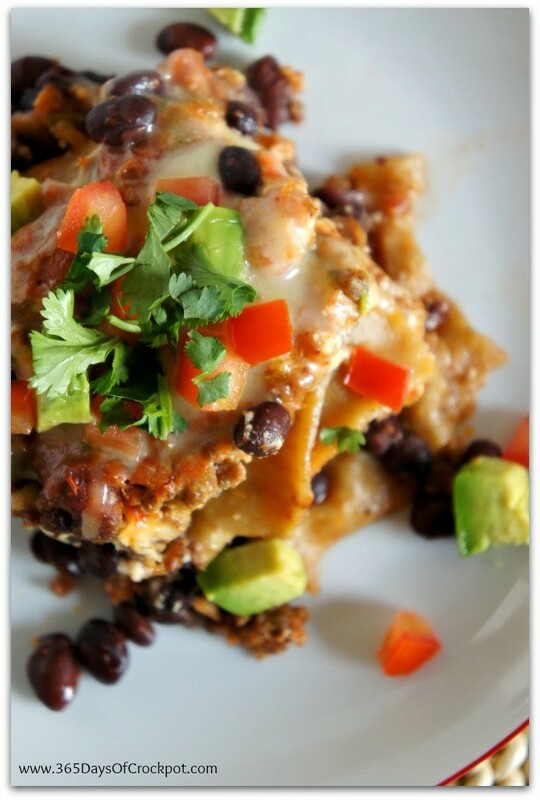 If you love Mexican lasagna but you always cook it in the over you’re going to go nuts for Karen’s Mexican Crock Pot Lasagne. She’s worked out the secret to making sure it doesn’t turn to mush in the crock pot so you won’t want to miss this one! Just because you don’t eat meat doesn’t mean you need to miss out on Mexican food, here are some of the best Mexican vegetarian recipes we could find just for you. 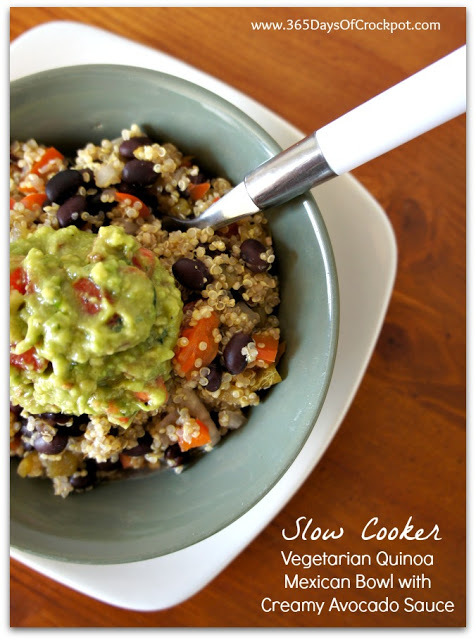 Let’s kick off with Karen’s Slow Cooker Vegetarian Quinoa Mexican Bowl with Creamy Avocado Sauce. As you might have guessed this recipe is based on quinoa, and the great thing about it is that even meat eaters can’t get enough of it, and it’s kid friendly so it’s a great meal for the whole family to share. 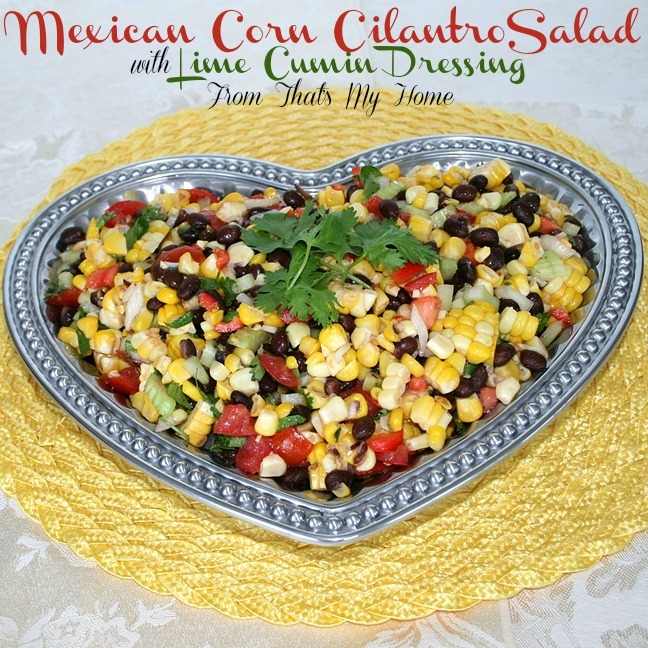 If you love fresh corn then you won’t want to miss Mary Ellen’s yummy Mexican Corn Cilantro Salad. It’s fresh and light which makes it a wonderful Mexican vegetarian recipe that is just perfect for summer parties. Do you ever get a craving for Grilled Cheese? 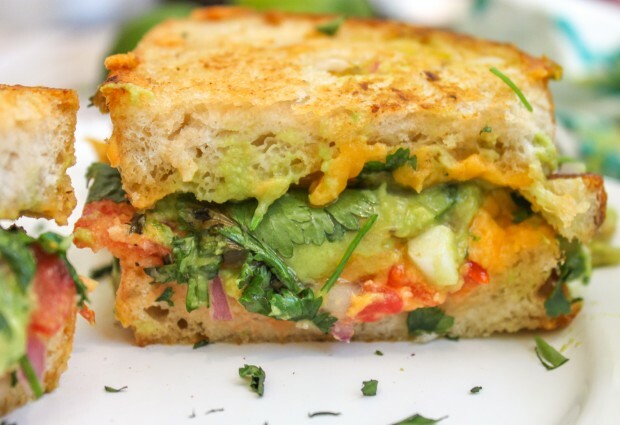 Well for a Mexican twist to an American classic you can’t go wrong with Jerry’s Guacamole Grilled Cheese Sandwich. I love his tip for the perfect balance of melted cheese and toasted bread! If you want your Mexican vegetarian recipe to be gluten free, or even suitable for vegans then Ashley’s One Pan Vegan Enchilada Bake with Cauliflower Nacho Sauce is the perfect recipe for you. It’s great for meal planning too as you can use the sauces to make breakfast burritos for the family. 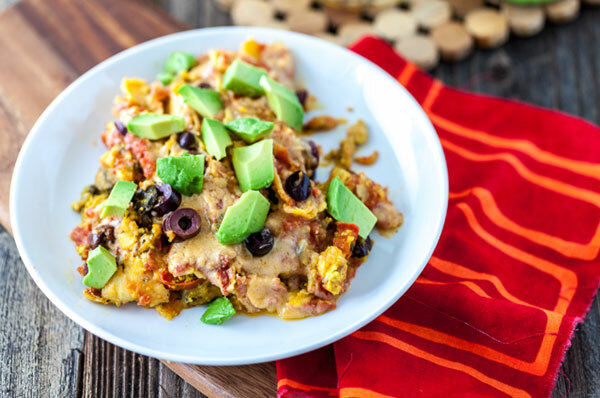 We’ll finish up our tour of Mexican vegetarian recipes with these delicious Nacho Cheese Tofu Scramble Enchiladas from Kristy. If your kids love to eat messy food they will love this tofu scramble, and if you have any leftovers it will be perfect for lunch later in the week. And of course if you just can’t get enough of homemade Mexican food you might want to treat yourself to a cookbook. Here’s our pick of the most popular ones available over on Amazon. 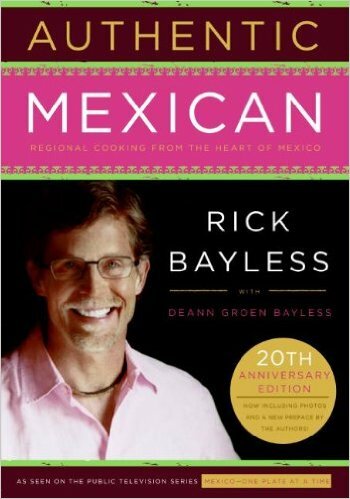 “Let America’s Test Kitchen be your guide to making deeply flavoured Mexican dishes at home. 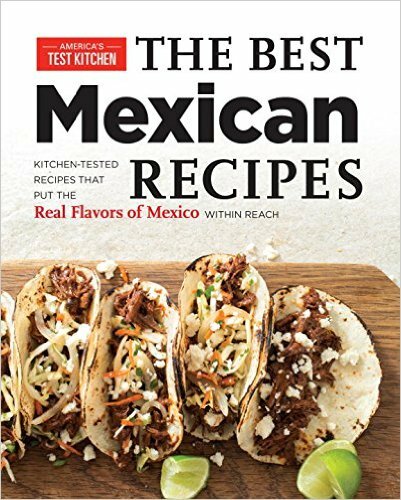 Their first Mexican cookbook features foolproof appetizers, soups and stews, authentic egg dishes, tacos and tamales, burritos and enchiladas, and all manner of meat and seafood dishes. “A single mom charged with getting dinner on the table nightly for her young son, Fausto, Marcela embraces dishes that are fun and fast—and made with fresh ingredients found in the average American supermarket. Pull together a fantastic weeknight dinner in a flash with recipes such as Baja-Style Braised Chicken Thighs, Mexican Meatloaf with Salsa Glaze, and Corn and Poblano Lasagna. Expand your salsa horizons with Fresh Tomatillo and Green Apple Salsa and Grilled Corn Pico de Gallo, which can transform a simply grilled chicken breast or fish fillet. 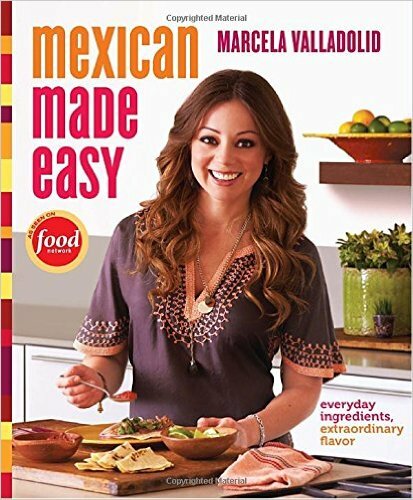 “This all-embracing cookbook offers the full range of dishes, from poultry, meat, fish, rice, beans, and vegetables to eggs, snacks made of corn masa, tacos, turnovers, enchiladas and their relatives, tamales, and moles, ending with desserts, sweets, and beverages. There are irresistible finger foods such as Yucatecan marinated shrimp tacos and crispy cheese-filled masa turnovers; spicy corn chowder and chorizo sausage with melted cheese will start off a special dinner; you will find mole poblano, charcoal-grilled pork in red-chile adobo, and marinated fish steamed in banana leaves for those times when you want to celebrate; and exotic ice creams, caramel custards, and pies to top off any meal. 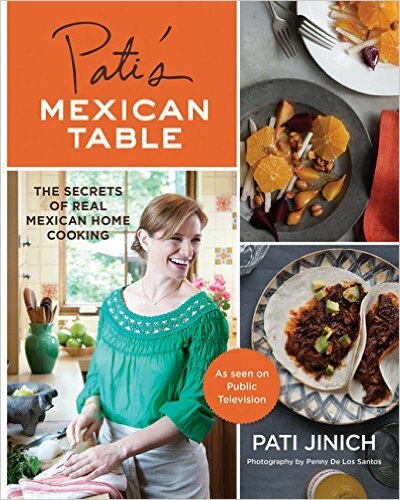 “The host of a highly popular PBS series, Pati’s Mexican Table, and a self-described “overloaded soccer mom with three kids and a powerful blender,” Pati Jinich has a mission.